Currently, 83 percent of all federal income taxes are paid by American homeowners, NAR has pointed out, so major changes like removing the mortgage interest tax deduction could be a major blow to these citizens. A home mortgage interest deduction allows taxpayers who own their home to reduce their taxable income by the amount of interest which they pay to the mortgage company. Looking back in time to the 1986 Tax Reform Act, there were several changes that affected commercial real estate. NAR noted that after this was enacted, property values in the commercial sector dropped significantly. This drop not only affected owners but also negatively impacted state and local tax revenue. While American home owners have recouped the losses in value following the recent recession, analysts at NAR have calculated that these gains will once again be swept away if the mortgage interest tax deduction is removed. NAR suggests that Americans could see a drop of more than 10 percent in home values with these suggested changes. Another item being discussed in federal tax reform is the removal of state and local property taxes as a tax deduction. These incentives have proven critical for a strong housing market – which in turn creates jobs and builds stable communities. If this deduction is also removed, then these two items could serve as a one-two punch to American home owners. For these reasons, your local Greater Chattanooga Realtors along with Realtors across the state and nation are contacting legislators and encouraging them not to turn our home-owning nation to a home-renting nation. Please join us in the important effort. Greater Chattanooga Realtors is “The Voice of Real Estate in Greater Chattanooga.” The regional organization has more than 1,800 members and is one of more than 1,400 local boards and associations of Realtors nationwide that comprise the National Association of Realtors. 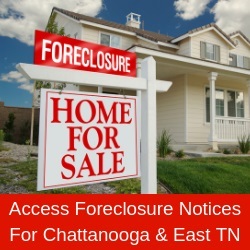 Greater Chattanooga Realtors serves Hamilton and Sequatchie counties in southeast Tennessee and Catoosa, Dade and Walker counties in northwest Georgia. Go to www.GCAR.net for more information.